The second-year, five-on-five basketball games are played under a loser out format between 97 teams that made it out of the 300 applications. Each team must have a General Manager (GM), a minimum of seven players, and have at least 100 online votes to be sport eligible. Starting July 10-12 here in Atlanta and also in Los Angles, then continuing in Chicago and Philadelphia on July 17-19, each single-elimination game is played by 18 year olds and up, under NCAA rules, consisting of two 18 minute halves. Fans have the option to live stream 88 opening round games on TheTournament.com website. The final 17 round returns to Chicago over July 23-25 then moves to New York City for the Championship round August 1 and 2, broadcasting live over ESPN. The top seeds in each region are: Boeheim’s Army (Northeast), a group of Syracuse alumni and the leading social vote-getter; Team BDB (South), organized by former top high school recruit and NBA draft pick Josh Selby and featuring some of Baltimore’s top talent; SLAM (Midwest), a reboot of last year’s runner up, Team Barstool, loaded with top overseas talent and sponsored by SLAM Magazine; and Grantland (West), featuring former NBA stars Jason Williams, Mike Bibby, and Brian Scalabrine, which was organized by San Antonio Spurs PF Matt Bonner and sponsored by the ESPN sub-site Grantland. Official Bracket Released For The Basketball Tournament, Winner-Take-All $1,000,000 Event. Atlanta (Clayton State’s Athletics & Fitness Center, July 10-12): #1 seed Team BDB, led by former national top recruit Josh Selby and featuring YouTube sensation Aquille Carr, will play the #24 seed SC Upstate RedHawks, a semi-pro team from Greenville, SC that formed in January on Friday July 10 at 1:15pm (ET). Alumni teams from UVA and Oklahoma are challenged by difficult to predict squads from all over the south. There are also a contingent of teams from the northeast who applied to play in Atlanta, including 3 time Rucker Park champions Sean Bell Allstars. 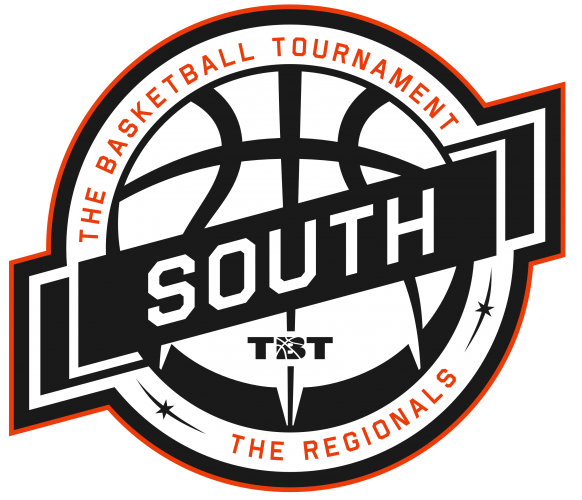 A deep region, the South is perhaps the most balanced of the four, with any of the 24 having a realistic chance at advancing to the Chicago for the Super 17, which begins on Thursday July 23 on ESPNU. Los Angeles (Cal State LA, July 10-12 ): #1 seed Grantland, which earned a first round “popularity bye,” will play its first game on Saturday July 11 at 5:45p (PT). LAUNFD, a 3 time Drew League champion featuring high level will have a tough matchup in the first round against the #24 seeded Pistol Shrimps, an all women’s team of L.A.-based comedians, actresses, and industry professionals on Friday July 10 at 7:30p (PT). Teams from Washington State (Seattle Pro Am with Nate Robinson), Colorado, Arizona, and the greater Los Angeles area will all battle for the right to advance to Chicago for the Super 17. Chicago (DePaul University’s McGrath-Phillips Arena, Midwest Regional July 17-19 and Super 17 July 23-25): 2014 runners-up, Team Barstool, have rebooted and renamed themselves SLAM, sponsored by SLAM Magazine. With a cadre of top Americans overseas professionals, including former UCONN Husky Josh Boone and Florida Gators Matt Walsh and Erik Murphy, SLAM secured the top seed and will play an all women’s team from Greater Boston called the New England Falcons on Friday July 17 at 10:45am. (CT) A region in which nearly all the top seeds secured popularity byes through voting, the Midwest features alumni teams from both the college ranks and the professional. Ants Alumni, a team comprised of the 2014 D-League Champions (Fort Wayne Mad Ants), takes the number 2 seed and will play its first game on Saturday July 18 at 2:15pm (CT). Also returning from 2014 are the Illinois Hoopville Warriors, who made a Cinderella run to the quarterfinals in last year’s event and are back to do even better in 2015, and the Sconnie Legends, a group of dads from Wisconsin who happen to be pretty good at basketball, too. Both teams play on Friday July 17. The defending champion Notre Dame Fighting Alumni, led by former All BIG EAST Tim Abromitis, Ben Hansbrough, and Torin Francis, among others, have a bye and will participate automatically in the July 23-25 Super 17 as well. Philadelphia (Philadelphia University July 17-19): The loaded Northeast Region is led by Boeheim’s Army, a team of Syracuse alums (with a few others) who look primed to make a long tournament run and thrill SU fans from all over. The top vote getter, Boeheim’s Army earned a bye in addition to the top seed and will play its first game on Saturday July 18 at 7:30 pm (ET). The 2 seed, Big Apple Basketball, is a 2014 semifinalist and returns in 2015 with an even better roster, featuring Smush Parker and former Kansas NCAA Champion Russell Robinson, and will play on Saturday 7/18 at 4:00pm ET. With a host talented teams from collections of pros (City of Gods (3), DMV’s Finest (4), Free Bands (6), TYGTAL (9)), to alumni teams (North Broad Street Bullies (7) (Temple), St. Anthony HS (20), the Wrecking Crew (16) (Lehigh), the Blue & Gold Club (11)(LaSalle)), this region is sure to excite fans of all kinds. Sports Techie, I have watched former Rainer Beach high school, University of Washington and current pro player Nate Robinson on the Seattle Pro Am team in the Western region of LA play since he was a teenager. He won the NBA dunk contest and is currently one of the NBA’s top instant offense players. The Atlanta region has 24 teams almost evenly split so whoever battles their way to Chicago will be ready to compete and win. My roots actually began in Michigan so I also plan on viewing live-streaming of the Chicago region because of the caliber of hoops played there, including defending champs Notre Dame Fighting Alumni. I predict the Syracuse alumni team in the East will play with a chip on their shoulders due to the NCAA violations by ‘Cuse Head Coach and legend, Jim Boeheim, as their way to help ease the pain of former players and fans that are hurting because of the sanctions imposed on one of the NCAA’s most consistent programs during his 28 NCAA tournament March Madness appearances. 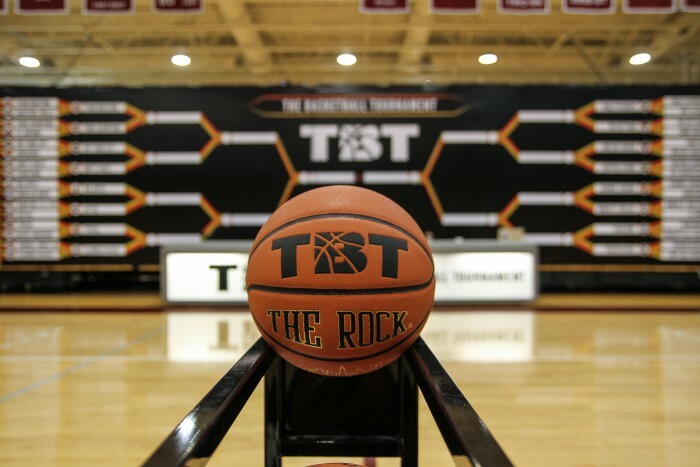 Enjoy the competitive desire and team first mindset each all women’s teams bring to the TBT. Celebrities, entertainers and unknown talent will undoubtedly provide skill sets and fun that fans can talk about over social media channels. 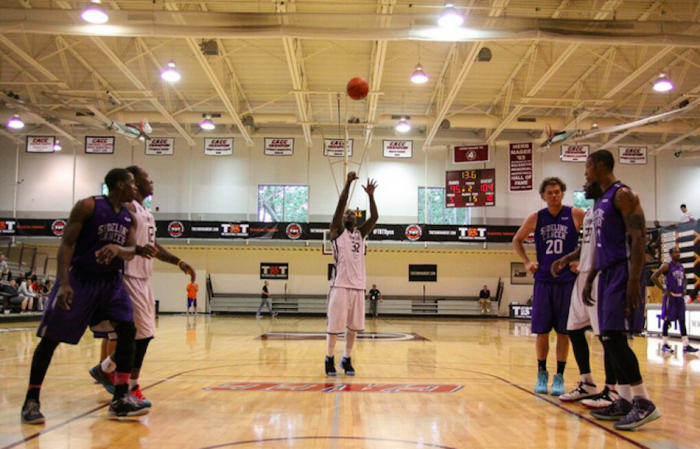 Shoot, score and win #thetournament.